The TÜV-tested and flexible d-flexx Safety Barrier „Delta“ is an innovative and economic separation of pedestrian areas and trails. Due to the modular system a customized solution can always be supplied by means of individual cuttings. The mounting material is always included in the scope of delivery of the d-flexx Safety Barrier "Delta". The fischer ULTRACUT FBS II is the perfect powerful contrete screw for top installation comfort. 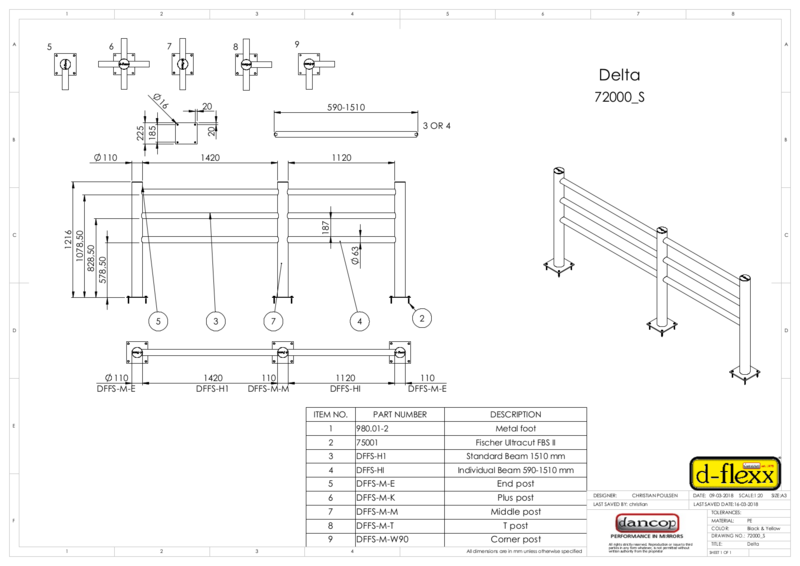 The mounting material is always included in the scope of delivery of the d-flexx-Safety Barrier "Delta". The fischer ULTRACUT FBS II is the perfect powerful contrete screw for top installation comfort.